State Representative Brian Lanoue was elected to his first term in the General Assembly on November 6th, 2018. He serves the 45th District, which includes Griswold, Lisbon, Plainfield, Sterling and Voluntown. He is a member of the legislature’s joint Banking, Commerce and Energy & Technology Committees. Brian is a small business owner who operates a mobile home park in Griswold. He is also a former champion weightlifter having held the world title for the deadlift, substance free, at the age of 21. The biggest issues currently facing the 45th District include the proposed state gun range, high taxes, a stagnant economy, unpredictable municipal funding from Hartford and the opioid crisis. Brian has pledged to fight the proposed state gun range citing disruption of the state forest, impact on residential home values and wastefulness at a time when state government spending has consistently outpaced revenue. Brian hopes to cut red tape and create a more business-friendly tax environment in order to encourage entrepreneurs to explore new innovations and technologies and provide eastern Connecticut with a distinct competitive edge in the modern economy. He has introduced legislation supporting those initiatives, which he hopes will take advantage of our state’s unique location between two major metropolitan areas giving the 45th district a strategic advantage and boundless economic potential. 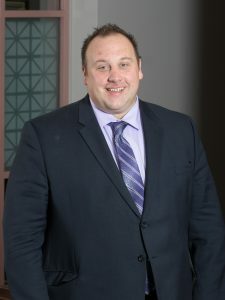 Brian received his bachelor’s degree in political science from Eastern Connecticut State University and his master’s degree in public policy from Southern Connecticut State University.